Mulching is an important procedure which protects soils and vegetation. 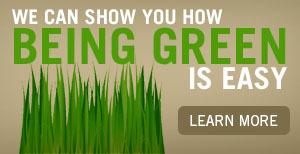 It is a good way to make sure that your lawns and gardens stay healthy and productive. Beyond making lawns and gardens aesthetically pleasing, mulching provides a lot of other benefits to exteriors. It can be beneficial for controlling weed, retaining moisture and nutrients in the soil and giving general protection. At V.F. Landscape, we provide top notch commercial mulching services. You can use our services to make sure that your commercial spaces not only look good but also stay healthy and productive. At Houston TX, our services can be considered one of the best, as we use our vast experience to refine processes and improve results. Prevention of soil erosion which drains away useful nutrients needed by your foliage. Better retention of water to ensure that your plants have adequate water supply at all times. Minimised soil compaction to ensure a better root level soil quality for optimum absorption of water and nutrients. Consistent soil temperature which does not fluctuate much with change of seasons. Superior weed control as our mulch is naturally resistive to weed growth. An added measure of beauty as gardens and lawns look their best when they have been freshly mulched.